Good morning peeps! If you're looking for a little inspiration to start your day, you've come to the right place. This week I wanted to highlight some Instagram accounts that spark my creativity. Why? Because lately I'm been on the hunt for some inspo, whether it's through videos that promote wanderlust, design photos or just snaps of really delicious-looking food. While these content creators do an amazing job sharing their work through social media, I'm drawn to these accounts because of the people behind the screen -- their stories and outlook on life. They remind me how important it is for everyone to do the same but through their own unique lens. It's important to appreciate what it means to live life and express yourself through your art, no matter what that is. Enjoy! Meet Rory Kramer: a freelance videographer. He's worked with a few lesser-known musicians (cough cough Justin Bieber and The Chainsmokers). Not gonna lie, from his account his life seems pretty awesome, he's filming ever step of the artist's journey, from concert tours to music videos. You would probably recognize his work in The Chainsmokers "Closer" lyric video -- which has over a BILLION views on YouTube. Not only is he talented with the lens, he just genuinely lives life to the fullest. In one of his videos, he talks about how his life may seem amazing on the surface but just like everyone else he deals with highs and lows. I think it's pretty cool that he's willing to openly talk about his struggles. I love everything about Bri Emery's account but that could be because it seems like she has the dream job being a creative director and product designer. Not only do I have great admiration for her eye for design but her free spirited vibe. Basically her account is filled with pretty flowers, cacti and travel. Need I say more? Mackenzie Smith just seems like a really cool chick. When I first started following, her focus was mostly on her love of grilled cheese. Taking photos and eating grilled cheese? Now that's what I call living life to the fullest. It's funny because I've been following her for a while now and love that she shares little bits of her life along the way. It seems a bit odd to know so much about a stranger but hey, I feel like we would get to along if we ever met in person. Jenna Balazevich is a local artist in Chicago, through her typography she's blazed a trail for female artists. I found her work right after the Women's March in Chicago. Her feminism approach is what really drew me in and the fact that all her pieces are dope. I recently found out she teaches calligraphy classes, it would be fun to take one of her workshops! Last but not least, Natalie Reece is the creator behind Words Meet Walls. She essentially writes quotes and carries her journal all around New York City and pulls it out any time inspiration strikes. Natalie started the account about a year ago and has been inspiring people all over the world ever since. 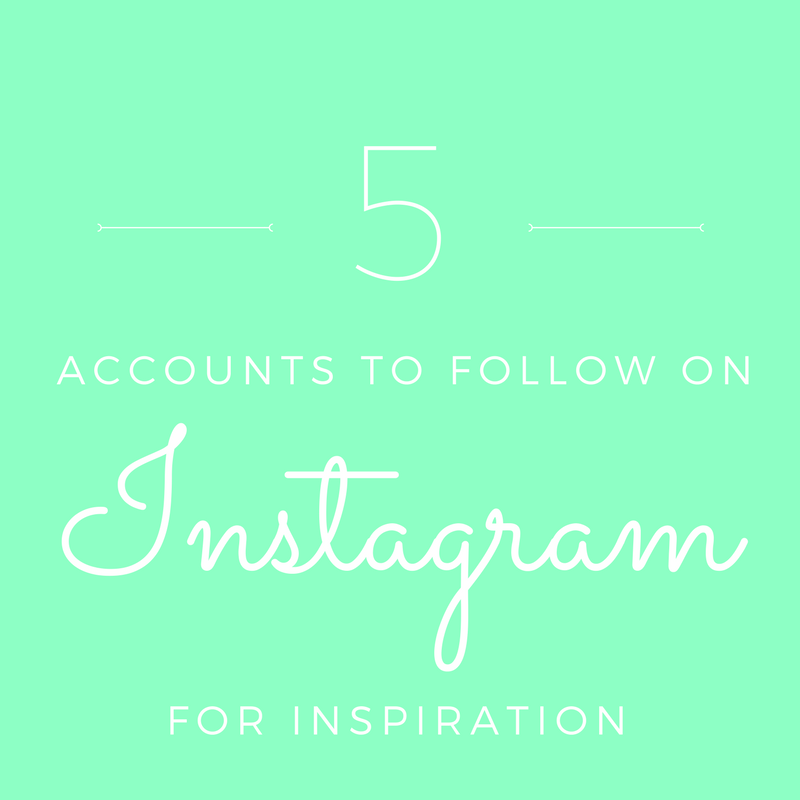 Do you have any Instagram accounts that inspire you? I would love to check them out!